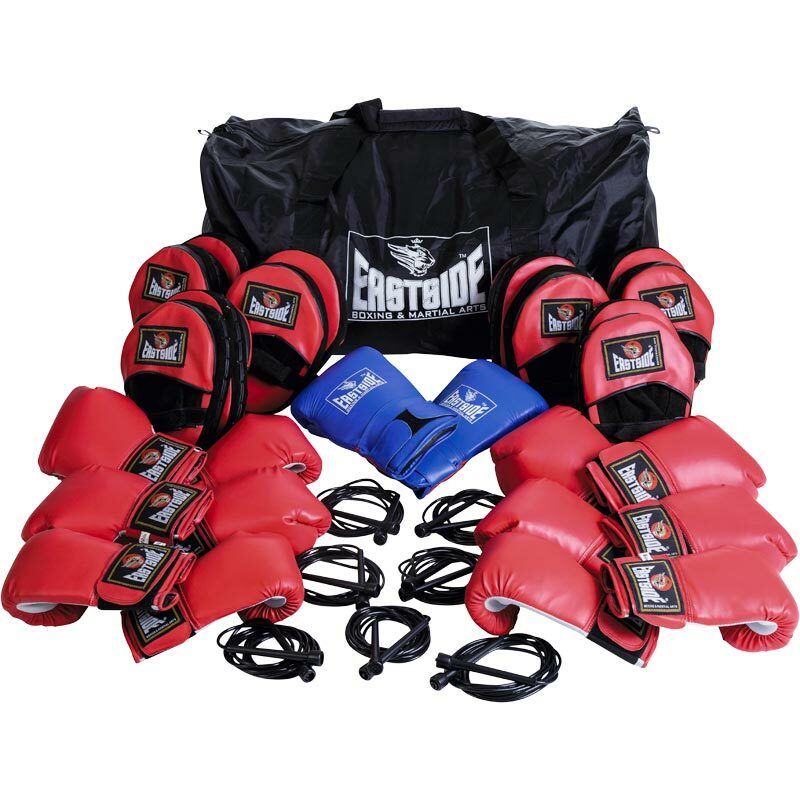 The Eastside Box Fit Set is a tough, performance tested brand of boxing equipment that offers fantastic value for money. Ideal for group sparring sessions. The set contains enough equipment for class sizes of up to 16 people. 1 x Pro Trainer Glove. 6 x Active Straight Hook and Jab Pads. 6 x Active Plus Training Gloves (2 x 8oz, 2 x 10oz, 2 x 12oz). 6 x PVC Skipping Ropes.